Jorge Masvidal may have been absent at the UFC’s seasonal press conference in Atlanta on Friday, but his upcoming opponent Ben Askren had more than enough to say for the both of them. The two welterweights are set to meet at UFC 239 on July 6 in Las Vegas in a bout rife with story lines, one of those being their contrasting backgrounds. While Askren was a star collegiate wrestler and an Olympian who later made the transition to as-of-today unbeaten MMA fighter, Masvidal is known as one of the sport’s true lifers, having competed as a pro for almost 16 years in addition to his roots in the Miami street fighting scene. Echos of that upbringing were felt this past March, when Masvidal followed up an impressive second-round knockout of Darren Till in the main event of UFC London by getting into a backstage scrap with Leon Edwards in which he landed several punches on Edwards. Referring to the exchange later, Masvidal said he gave Edwards “the three piece and a soda.” That incident went viral and it looked like Masvidal and Edwards would be booked soon to capitalize on that publicity as opposed to Masvidal being matched up with Askren, who was in London expecting to face the winner of the headlining bout. 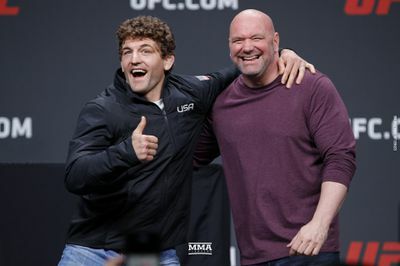 Was Askren worried that he wouldn’t get the Masvidal fight? “I definitely thought that,” Askren said Friday. “I thought Leon was getting the fight for sure. Besides that, Jorge was making excuses that whole week about why he didn’t want to fight me. He wouldn’t say my name, it’s a little thing that he does. Losing that potential booking wasn’t Askren’s only concern. He was critical of Masvidal’s behavior in London and questioned why the veteran fighter chose to confront Edwards in the manner that he did. 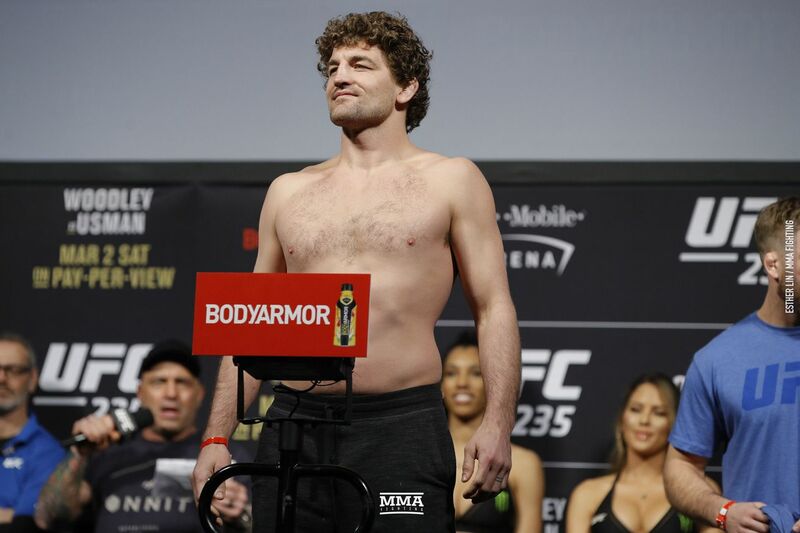 UFC 239 will mark Askren’s second appearance for the promotion. Following his sterling wrestling career, he forged a path for himself in MMA with championship runs in Bellator and ONE Championship. With his controversial win over Robbie Lawler at UFC 235 and his willingness to trade verbal shots with anyone, “Funky” has made himself a household name in the organization already. But just because Askren is facing another opponent with far more Octagon experience, doesn’t mean that he’s at all intimidated. In fact, Askren was asked to give his account of an alleged training session that he had with Masvidal that according to Askren happened in December 2008, and his appraisal of Masvidal’s grappling was less than flattering. “He’s a habitual liar, so I’m sure he will recount it differently,” Askren added.